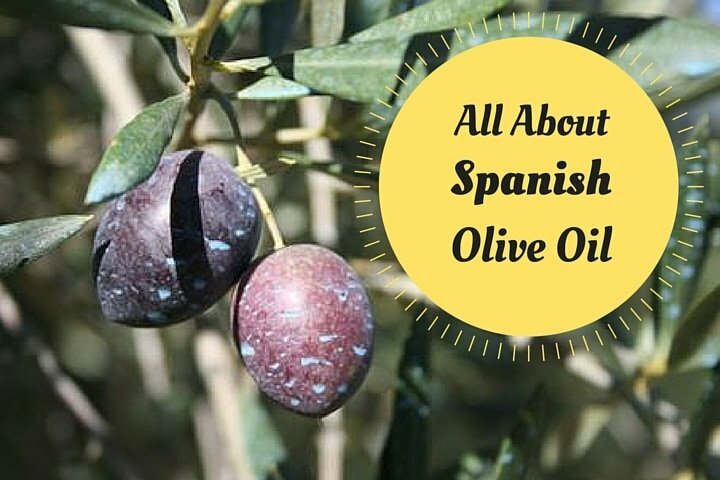 A guide to Spanish olive oil. The longer I live in Spain, the more essential olive oil is becoming in my daily life. I douse my toast with it for breakfast, swirl it over my salad for lunch and begin practically every recipe with it for dinner. In the country where people consume more than 2.5 gallons of olive oil per year, it’s almost impossible to find a plate without at least a few drops of liquid gold. But when it comes to buying my own olive oil, I quickly realized there was quite the learning curve. There are dozens of olive varieties (over 260 it’s said! ), a handful of vital quality buzzwords and more than 20 different Denomination of Origin Control zones (similar to the quality control regions in wine) to sort through. As the world’s largest olive oil producer (we make about 42% of the world’s olive oil– depending on the year), Spain has a huge variety of olive oils to choose from, many of which you can find overseas as well. From spicy and fresh bright green oils to fruity golden oils to processed cooking oils, here’s everything you need to know about Spanish olive oil. 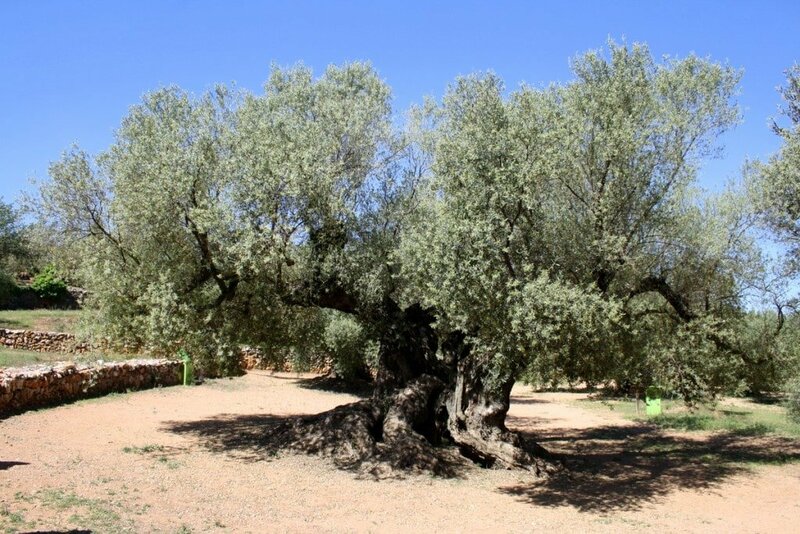 The oldest olive tree in Spain… it´s more than 2,000 years old! Olive oil has been flavoring Spanish cuisine for more than 3,000 years. To trace the flow of oil, all you have to do is head south. Spaniards have the Phoenicians to thank for first bringing olive trees here around 1050 B.C. But it wasn’t until the Romans occupied the Iberian Peninsula starting around 212 BC that olive oil really caught on. Spain’s excellent olive-growing climate made it a hub of The Roman Empire’s olive oil production. Spain produces about 1.3 million tons of olive oil each year, more than any other country in the world. In fact, the province of Jaén in Spain’s southern community of Andalusia produces more olive oil than all of Italy combined! While much of that oil is exported and bottled in other countries (most notably Italy), plenty of it stays right here in Spain. The average Spaniard consumes 1o times as much olive oil as Americans! Only Greeks consume more. Tasting olive oil can be much like wine tasting! Virgin? Extra Virgin? Super Duper Virgin? What does it all mean? Depending on the quality of the olives, how they were pressed (a term I use loosely since actual presses are only used in tiny facilities these days) and how many times, oils can change drastically from robust and excellent to chemical and inedible.The European Union strictly regulates how oils can be classified. Extra Virgin olive oil is the créme de la créme of olive oil and thus comes with a slew of requirements. The olives have to be pressed less than 24 hours after harvest using either a traditional press or a centrifuge system (the most common these days as the presses allow for bacterias that could ruin the oil). 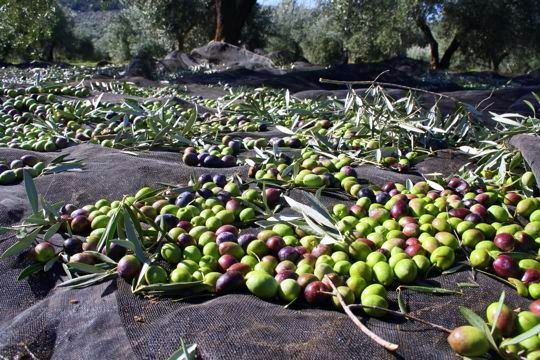 No chemicals can ever touch the oil and it must be 100 percent olive juice, no additives. It also cannot be heated above 27° C (80.6°F), which is the maximum temperature it would reach during the centrifuge process. Extra virgin olive oil can’t have any defects in color, smell or taste (defects are tested for by a panel of experts) and has to have an acidity below 0.8 percent (though most are actually under 0.3 percent). You’ll often see words like “cold-pressed,” “all-natural,” or “unrefined” on extra virgin olive oil labels, all of which are superfluous! If it is really extra virgin oil it, by law, has to be all of those things. 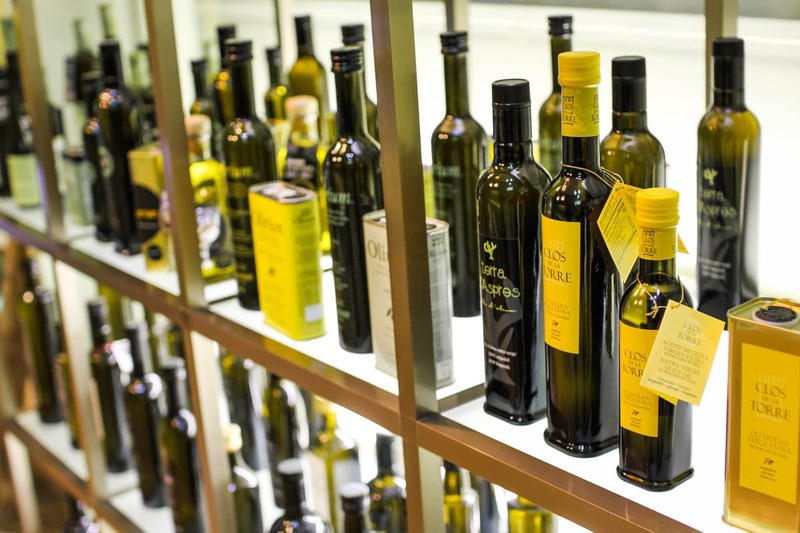 Only extra virgin oils can be sold under Denomination of Origin Control labels, which like DOCs for Spanish wines, regulate quality and are tied to geographical regions. Glass bottled oils like these are almost always extra virgin. Virgin oils are also chemical-free and can only be pressed using traditional presses or centrifuges. 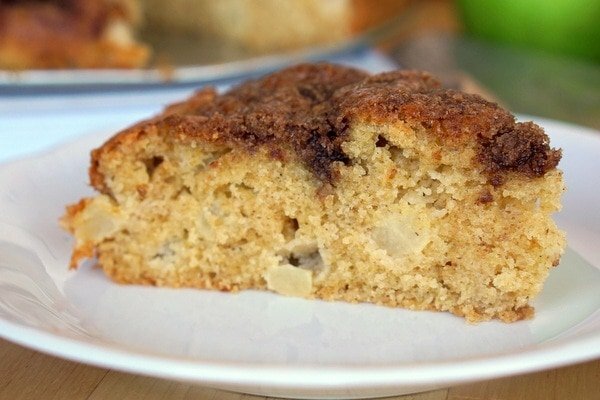 The difference with these oils is that they are allowed to have some slight imperfections of color, smell and taste. Olive oil experts use a 10-point scale to judge oils on an array of quality criteria. Extra virgin oils have to achieve a perfect score. Virgin oils can have up to 3.5 percent defects and an acidity of up to 2 percent. If the oil has a high acidity (more than 2 percent) and many defects, it is dubbed lampante oil and destined for the refinery. Lampante gets its names from the olden days, when it was used as lamp oil. In order to make this olive oil fit for consumption it is refined with solvents which take away its various defects. What results is a light colored, flavorless oil. It is then mixed with a small percentage (about 5% to 10%) of virgin (or occasionally extra virgin) oil to give it the desired flavor profile and color– and trick the majority of Spanish consumers into thinking it’s somewhat healthy! These refined oils are often sold in Spain as “suave” or smooth olive oil which has a light color and flavor or “intenso” or intense olive oil which is a bit darker in color and stronger in flavor. It’s all marketing though, as these oils contain zero health benefits. Olives, Olives and More Olives! Beautiful picual olives in different stages of ripeness. Like grape varieties in winemaking, the secret to great olive oil is great olives! Spain is home to more than 100 different types of olives, 24 of which are commonly used to make olive oil. 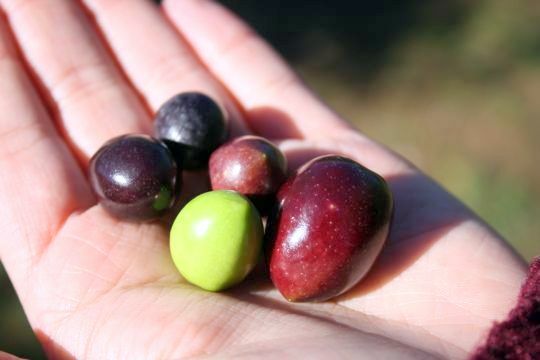 Each type of olive has a unique flavor profile, from spicy to sweet, smooth to acidic. Professionals are able to detect a multitude of tasting notes, just like with wines! Picual is the most-grown olive in Spain and accounts for about half of all Spanish olive oil. It also happens to be one of the healthiest olives grown here with high levels of antioxidants. This is a strong oil with lots of body and a slight bitterness. It is most often used for frying as it withstands heat well or for making the cold Spanish tomato soup called gazpacho. Get our gazpacho recipe here! Fact: Forget the common myth that you can’t fry in extra virgin olive oil. You absolutely can. It does depend on the variety, however, and picual EVOO is one of the best in the world for frying! Though it depends on where they are grown, normally arbequina oils from northeastern Spain are light, fruity oils that often have flavors of apple and almond. 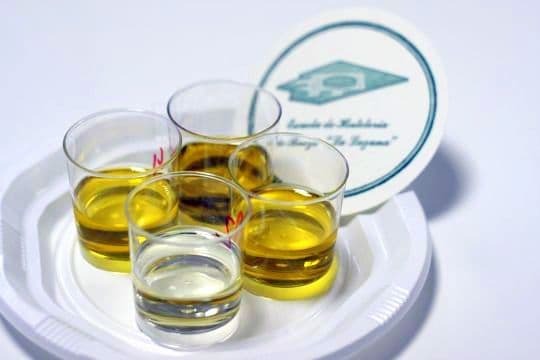 Unlike some of their stronger Spanish brethren, arbequina oil is usually extremely smooth with very little bite or astringency. This oil is most often used raw (not for cooking) on vegetables and fish. Hojiblanca gets its name from the leaves on this type of olive tree which are white (blanca) on the underside. These trees are found almost exclusively in the southern province of Andalusia where they make up about 16 percent of all the oil produced there. 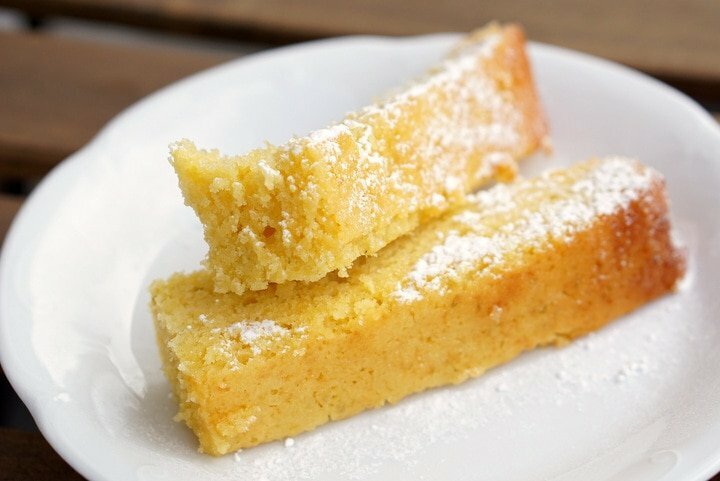 Hojiblanca is good for baking and pasta-making because of its slightly sweet and smooth flavor and its high fat content which makes dough light and easy to work with. This is the second most widely grown olive in Spain, coming from the Toledo region just south of Madrid. Cornicabra olives are difficult to pick mechanically and thus are often used in only the most expensive oils. Cornicabra olive oils have a bit of a spicy bite at the end are great with roasted vegetables and meats. What’s your favorite olive oil? Spain lover, taste tester and unabashed wine sniffer. I've got an unshakable obsession for wild mushroom croquettes and rowdy food markets. I travel by my tastebuds and am a firm believer that every dish has a story to tell. Check out my food adventures on my blog, Restless Fork. I love arbequina olives. They taste like little nuts to me! I first learned to like olives when I was in Spain. Now, my tapas table is non-existent without them! Same here! I grew up with my father eating some very strong Italian and Greek olives every night and thought I didn’t like them. But when I got to Spain, things changed quickly! Now I love all olives, even Dad’s! Picual is my favorite olive oil. In Portugal me and a few buddies would buy 300 liters from a grower/processor as a year’s supply. No comparison to the stuff you get in the super. It’s also cheaper.